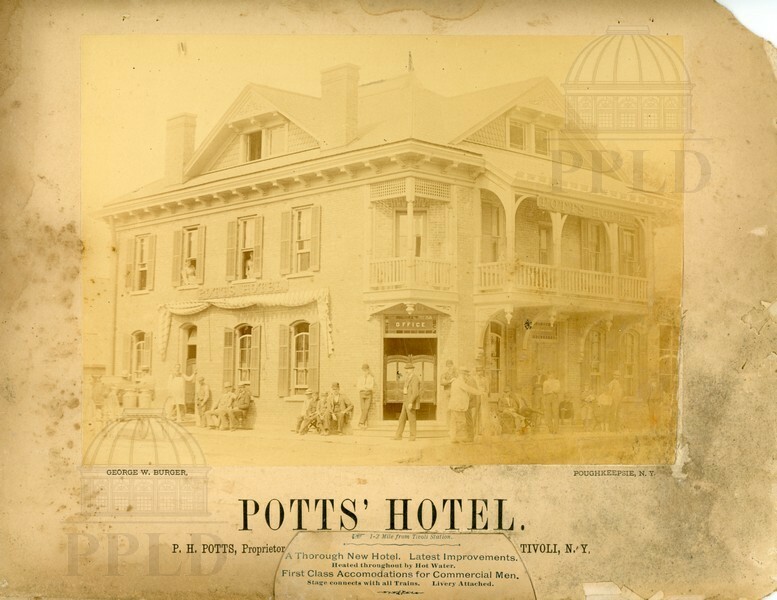 "Potts' Hotel in Tivoli, P.H. Potts, Proprietor. A Thorough New Hotel, Latest Improvements. Heated throughout by Hot Water. First Class Accommodations for Commercial Men, Stage connects with all trains. Livery Attached." George W. Burger, “Potts' Hotel,” Main & Market: Sights and Sounds of the Queen City and Beyond, accessed April 24, 2019, http://mainandmarket.poklib.org/items/show/3509.